The Walt Disney Company has begun changing employees’ hotel-room entry protocol at its properties at Orlando’s Walt Disney World Resort. 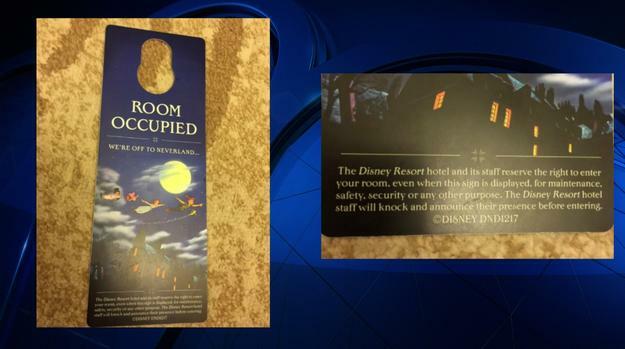 The Walt Disney World Resort will be is replacing its “Do Not Disturb” signs with “Room Occupied” signs. The Resorts are also informing guests that employees will enter guestrooms at least once a day, to assure the safety of guests. A hotel staffer must knock and identify themselves before entering if the “Room Occupied” sign is out. Guests are being notified upon arrival about the new right-to-entry guidelines. If guests have issues with housekeeping or maintenance entering when they are gone, Disney said it will talk to guests on an individual basis to discuss their concerns. Disney’s Grand Floridian Resort & Spa, Disney’s Polynesian Village Resort, Disney’s Contemporary Resorts and Bay Lake Tower at Disney’s Contemporary Resort, all of which are closest to Disney World’s Main Monorail Line, are the first 4 resort hotels where the policy change will take place. While Disney has said it is evaluating these changes for the other on-site resorts, the other Walt Disney World Resorts are expected to have the new signs and policy within the next few weeks.While Disney won’t say its exact reasons for tightening security, many resorts across the United States have implemented various new security measures as a result of the October 1st shootings in Las Vegas. Disney has just said it made the decision for a variety of factors, including safety, security and the guest experience.